Here's the side view ... can you see the pretty buttons that I worried over? No? 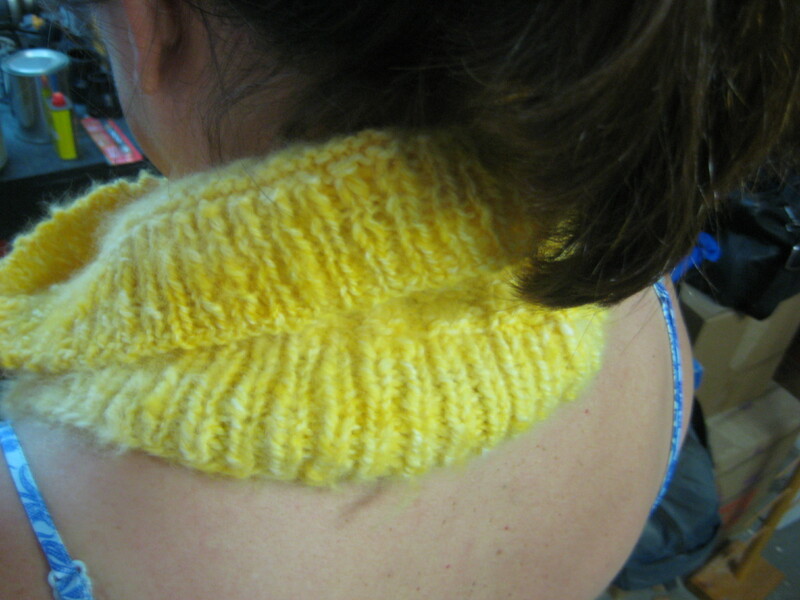 I now have a better, first-hand understanding of WHY you should knit a swatch … even if it’s “just a cowl”! Not exactly upstanding, is it! And from the front ... the leaning tower of cowl. I’ve taken three photos … well, I didn’t but my sweet love took time away from polishing his boots in the garage to take it for me. Photo one above shows a side view. 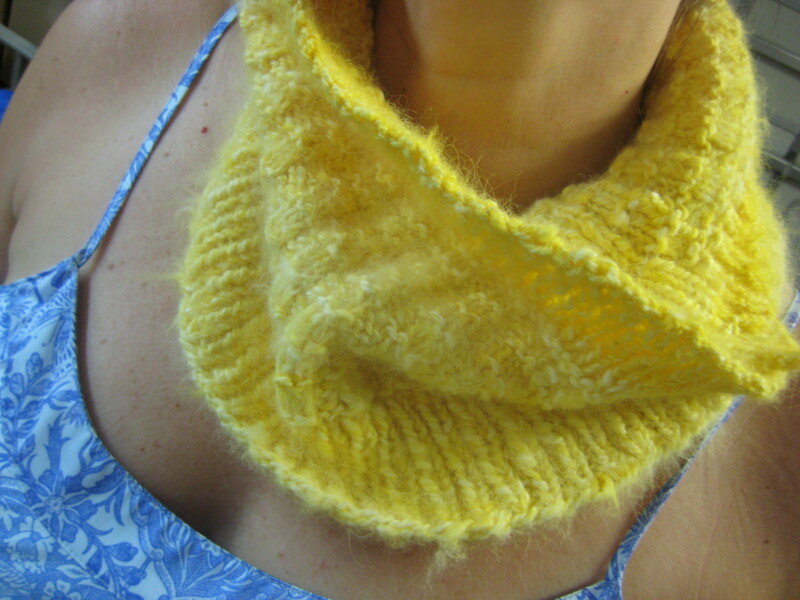 There are two lovely buttons that you can’t see because this cowl is so darned big. Nothing like the sample photo on the pattern. Why, you ask? Because the Queen Bee is a non-swatcher. (I’m almost ashamed to claim the title.) But it’s the truth and I always tell the truth. It’s rather funny, actually. In my day-to-day life, I am such a rule follower. I don’t cross the street when it says “don’t walk” and I make a full stop (counting to three) at stop signs. I don’t litter. BUT … I don’t swatch! And now, I will have the pleasure of frogging my lovely Thermis cowl and then making a swatch so that it turns out the right size. 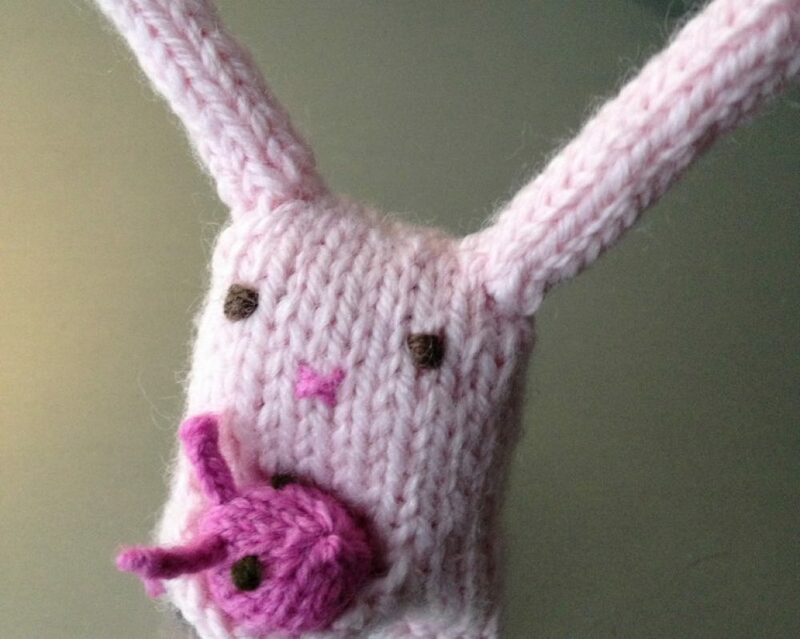 I’ll blog about it again, dear reader, when it’s knitted properly! 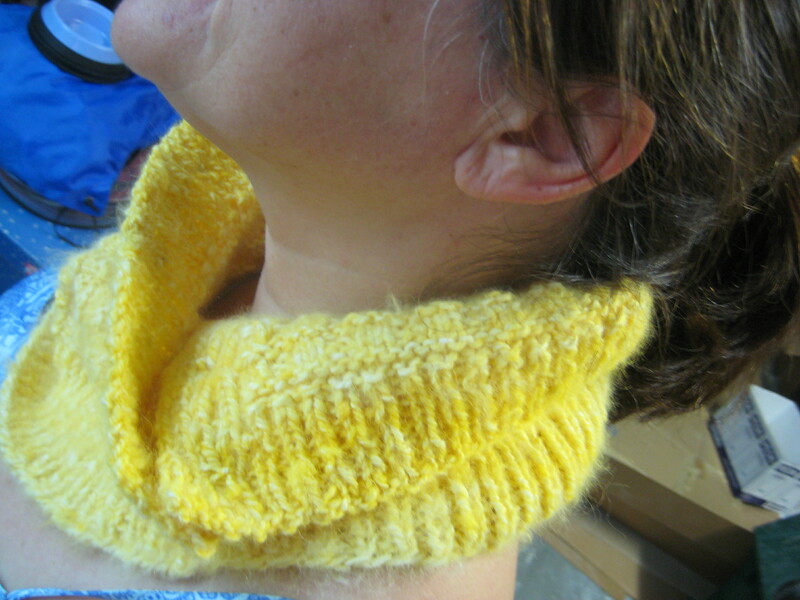 This entry was posted in Knitting and tagged buttons, cowl, frog, knitting, love, mistakes, oops, swatch, Thermis by lindarockwell3. Bookmark the permalink.